Shampoo is basically hair soap. Its main aim is to remove dirt, oil build up, dandruff etc. The scalp produces a natural oil called sebum and too much of it makes your hair seem oily and greasy so it is also the job of shampoo to remove sebum (but not too much). 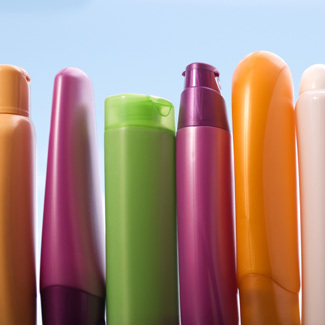 There are many different types of shampoo for different purposes, anti-dandruff shampoos for example. Because black hair is so dry its advisable to try and find moisturizing shampoos. Shampoos with ingredients like coconut and nut oils are great for our hair types because they will supply moisture to the hair by coating the shaft and trapping water inside. In other words, they work a lot like the natural oils our bodies make. In addition to washing with a good shampoo, its also advisable to follow it up with a conditioner. 1. Choose according to your hair type. If you have dry hair, go for moisturizing shampoos, dandruff prone hair go for anti-dandruff shampoo etc. 2. Choose shampoos with low alkaline content (PH level 7 and below is ideal) because high alkaline/PH shampoos can damage your hair by stripping it of all its essential oils. Look for an ingredient called sodium citrate, it helps maintain the PH balance in your hair. 3. Once you pick a shampoo pay attention to how your hair reacts to it. This goes for the conditioner as well. If your hair reacts badly you might want to look for another shampoo. 4. You don’t have to get the most expensive shampoo you can find, get the shampoo that satisfies your requirements first and worry about the price second. 5. Pay attention to the ingredients. The eye catching “For dry hair” labels can be misleading. Sometimes the ingredients can be all the same so if you wanna be sure check the ingredients. 7. Avoid gel shampoos, they tend to dry the hair. 8. If your hair is relaxed go for gentle shampoos and shampoos specifically for relaxed hair. 9. Use cold water for your final rinse, it helps close the pores in your hair shaft which results in shinier hair and helps fight frizz. How often should you wash your hair? I would say the most often is once a week. Constant washing actually dries out your hair so try and wash only when necessary. Personally I wash my hair once a week or whenever it becomes too itchy for comfort and it feels greasy. As usual questions, additions or comments are welcome!